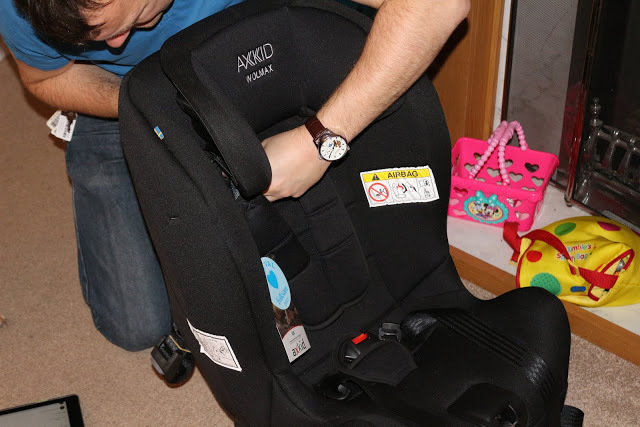 We were asked to review the Axkid Wolmax extended rear-facing car seat, so decided to compare the Axkid Wolmax to the Axkid Minikid. 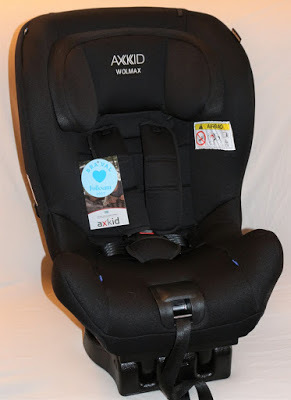 The Axkid Wolmax is a newer seat than the Minikid. 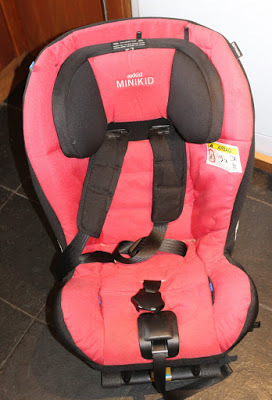 A year ago, we tested out a pair of Axkid Minikid car seats (see the post here). We still use these seats in our car every day and are more than happy with them; I would definitely recommend them for a group 1-2 car seat for your baby, toddler or preschooler. We are in no hurry to replace them, even for our four year old. We recently removed and washed the covers and they look as good as new again! The Wolmax car seat, which was launched late last year and is less well known than the Minikid, is very similar and built on the same frame. 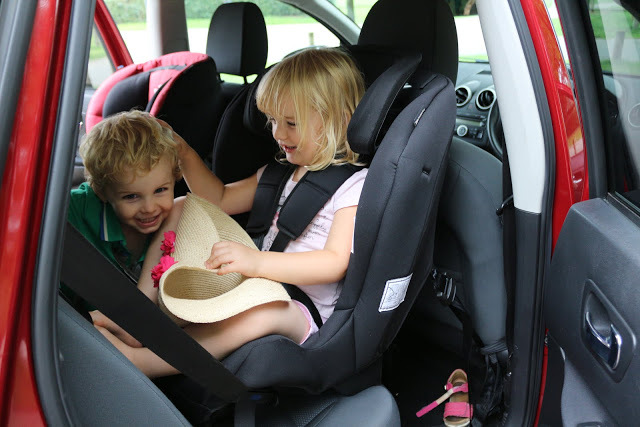 Both the Minikid and the Wolmax are suitable from 9kg-25kg, rear facing only and seat belted in as opposed to ISOFix. Both car seats have passed the Swedish Plus Test which is effectively the gold standard for car seat safety. However the Wolmax is significantly cheaper than the Axkid; does this mean it is lower quality? 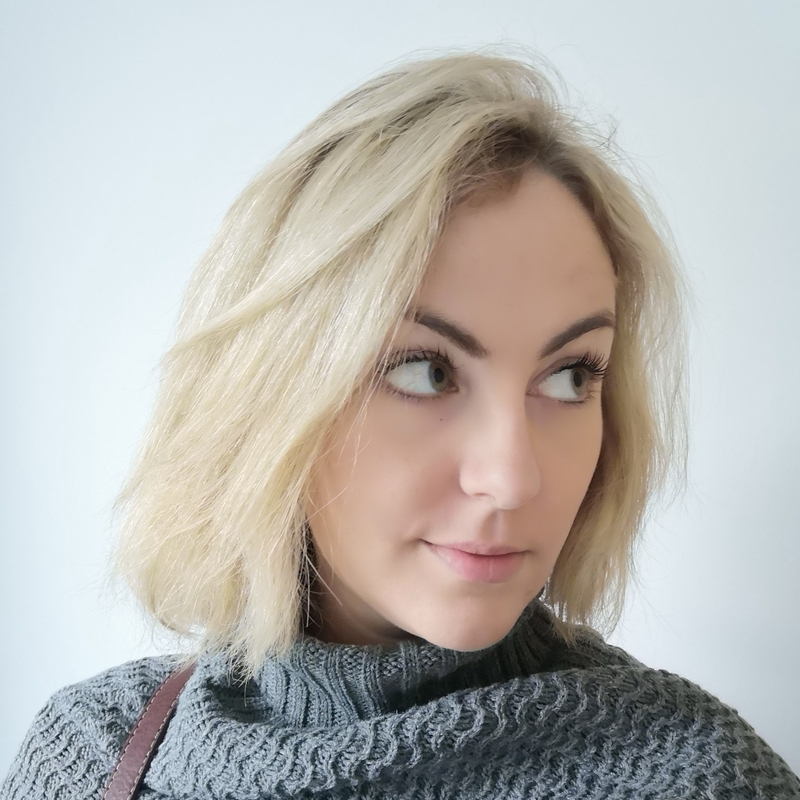 I was unsure how the seats differed from one another, so I thought it would be useful to compare the seats so that if you’re considering a purchase then you can see which one would best fit with your family. My first impression was that the Minikid (above, right in red) felt slightly heavier than the Wolmax (left, black) and in fact it is; 11.2kg compared to the Wolmax’s 9.6kg. They’re both heavy seats compared to others on the market but this is because they are so sturdy and well made. There is really no difference in the dimensions (in fact, they are the same shell). 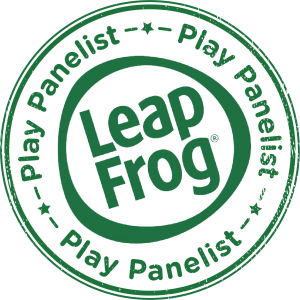 Both can have the same insert used for smaller children (although we do not have one of these). Both car seats are suitable for a very wide range of vehicles; ours is a Qashqai but according to their website you can fit them into most vehicles, even small ones! The look very similar; the only obvious difference between the Wolmax and the Axkid is the bottom where it rests on the car seat. Unfortunately the Wolmax does not collect less crud underneath than the Axkid (see this post – but be warned it’s not for the faint hearted!). They’re slightly different installation wise; the tether on the Minikid automatically tightens, but (according to my husband, who gets tasked with this kind of thing) neither is noticeably easier than the other and they both took a similar length of time to install. 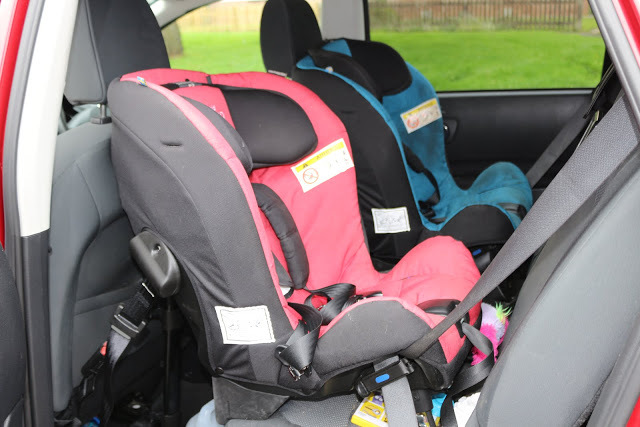 Compared to ISOFix seats they are harder to get right because they are belted, but once they’re in they are very stable and safe. 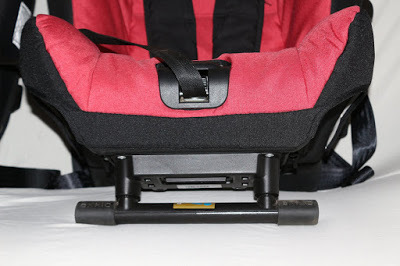 The Axkid Minikid is extremely easy to adjust; the headrest pops up, you automatically pull it down to the correct level when tightening straps and you can lock it via a small lever at the top. The Wolmax has to be adjusted via the back, and you need to remove the straps and re-position them. 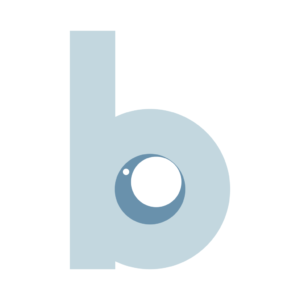 Not especially difficult, particularly if you watch the instructional video on their website, but it is definitely more time consuming and it can’t easily be done in situ. I was planning to switch the kids around and see what they thought, but because it isn’t as simple as the Axkid I haven’t done this. I have learned that the headrest adjustment on the Wolmax, which has three settings, does not go as high as the Minikid. This is not a problem for me as my children will have exceeded the weight limit before they approach the top setting; but if you have a particularly tall child, then the Minikid might be your better bet for longevity. Both seats are very sturdy and well padded. I’ve never had any complaints about the Axkid seats, but the Wolmax has additional padding particularly around the top. Although I haven’t sat in it myself (weighing slightly over the 25kg limit…), my almost-four-year old reports that it is comfier than her other seat; I don’t know how far you can trust a four year old’s judgement on that! 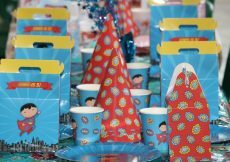 The Minikid comes in a variety of colours; we have one in Petrol (blue) and one in Red but they come in grey, denim and a kind of khaki green as well as plain old black. To misquote Henry Ford, you can have Wolmax in any colour so long as it is black. Oh come on, admit it. You like the colourful seat. You can currently buy the Wolmax for £239 on Amazon here, which is around £85 less than the Axkid, currently priced at £325 on Amazon here. To me, this definitely makes it worthy of consideration, despite the slightly more difficult adjustment settings and lack of colour choice. If you need a non-ISOFix seat, or you’re looking for something to install and stay put, then for the money, the Wolmax it is a fabulous buy. 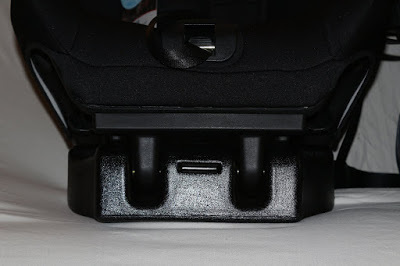 There are few car seats which rear face until 25kg under £250. 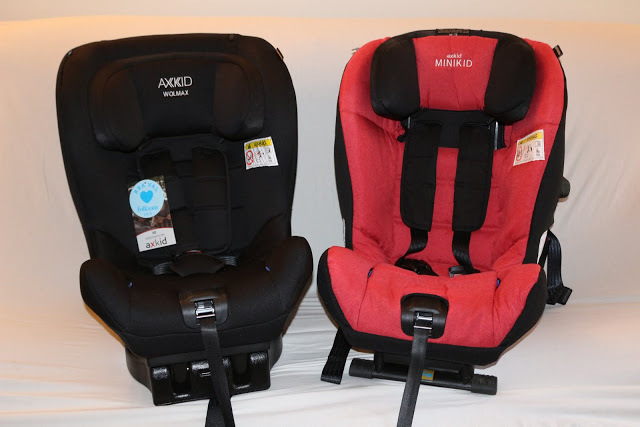 Verdict: Which extended rear facing car seat is better? The price of the Wolmax alone makes it a much tastier option; yes, there are fewer bells and whistles but once set up and in your car, you are unlikely to notice a difference in functionality. If your budget is flexible, then the Axkid is more user friendly in terms of the asjustment, and may last longer f your child is very tall for their age. For me, personally, the Wolmax ticks all the boxes and with the £100+ potential savings, I would be happy to use the seat. Why do we rear face? Read THIS post to find out why! It’s simple really. Rear-facing car seats provide better support for your child’s head, neck and spine and in the event of a crash, a rear-facing child is five times less likely to die or suffer serious injury. The current UK car seat laws which allow parents to forward face their children from nine months seriously lag behind those of other countries, where rear facing until at least two or three years old is the law or the norm. In Scandinavian countries, children rear face until four to six years old. 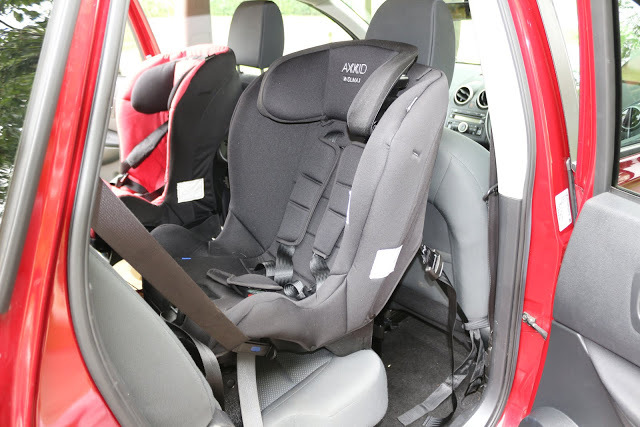 If you are reading this, and wondering whether it is worth paying more money to buy an extended rear-facing car seat for your child, I would personally say that answer is always yes, if you can afford it then it’s a very worthy investment. 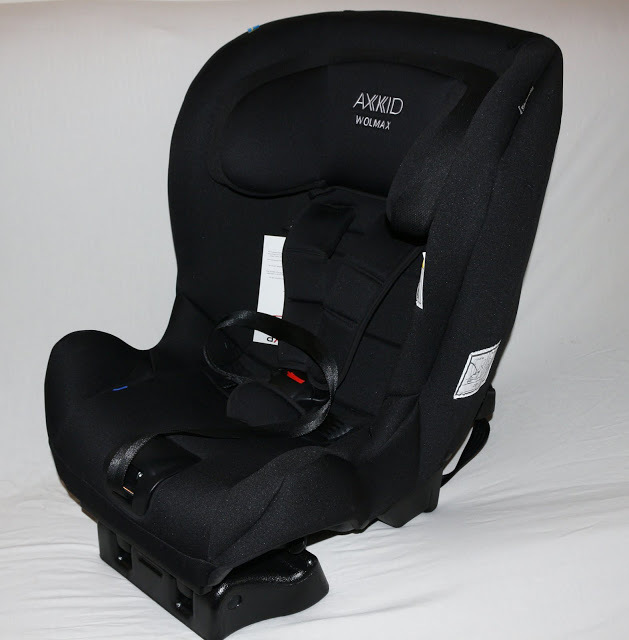 Particularly car seats such as the Axkid seats tested here which will suit your child until they are 25kg; depending on the weight of your child of course, that could be five years or more of use. We received these seats from Axkid for the purposes of this review, but all words and opinions are mine. 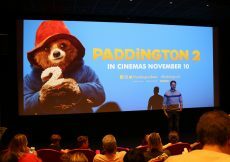 For more information on these seats, please visit the Axkid website, where you can find a full list of online and bricks and mortar retailers. You can also find them on Facebook. 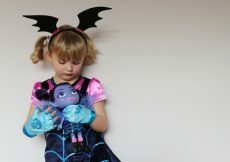 For information about changing the covers on an Axkid Minikid go here. For a review of the Axkid Minikid go here.